There are several key differences between comforter sets and bed in a bag ensembles. When you're shopping for bedding, it's important to understand how these pre-assembled sets differ so you're clear on exactly what you're buying. Both types of sets have great value for designing a bedroom, as they provide you with coordinated bedding. What's in a Bed in a Bag Set? This bedding set is exactly as its name describes. You can literally make a bed with the contents from the bag. This type of bedding set is a good economical choice since you don't need to purchase sheets separately. The coordinated grouping takes all of the guess work out of matching up fabrics, colors and patterns. If you're just starting out on your own or need to replace all the elements of an aged bedding set, then this may be a great choice. Parents often like this option for their kids, from the time they get their first twin bed all the way to their college dorm room. What's in a Comforter Set? Comforter sets don't include sheets, which is the primary way they differ from bed in a bag sets. A comforter set will contain, at a minimum, a comforter and two pillow shams (1 only for twin size). Some comforter sets can have as many as 10 or more pieces, including a bed skirt as well as a wide range of pillow sizes and shapes. There are many differences in comforter sets and what is included in them. 2-piece set: For twin beds only, this option comes with a comforter and a single pillow sham. 3-piece set: A three-piece comforter set features a comforter and two pillow shams. 4- piece set: This option includes a comforter and two pillow shams, plus a throw pillow. 5-piece set: This set often includes two throw pillows but could also include just 1 throw pillow and a bed skirt. It depends on what the manufacturer wishes to sell. 6-piece set: A typical 6-PC set will include a comforter, two pillow shams, two Euro shams (larger) and a bed skirt. 7- piece set: For this set, you can expect a comforter, two pillow shams, a bed skirt, and three decorative pillows. From this point forward, the number of pillows increases along with the number of pieces in the set. The shapes and sizes of the pillows can also change. For example, a set with more pieces will include things like a neckroll pillow or a lumbar pillow. A comforter set often offers a wider selection of fabrics, patterns, colors and styles than a bed in a bag. These can range from quilt-top comforters to velvet insert tapestry designs. The price range can be very low and economical to outrageously expensive. 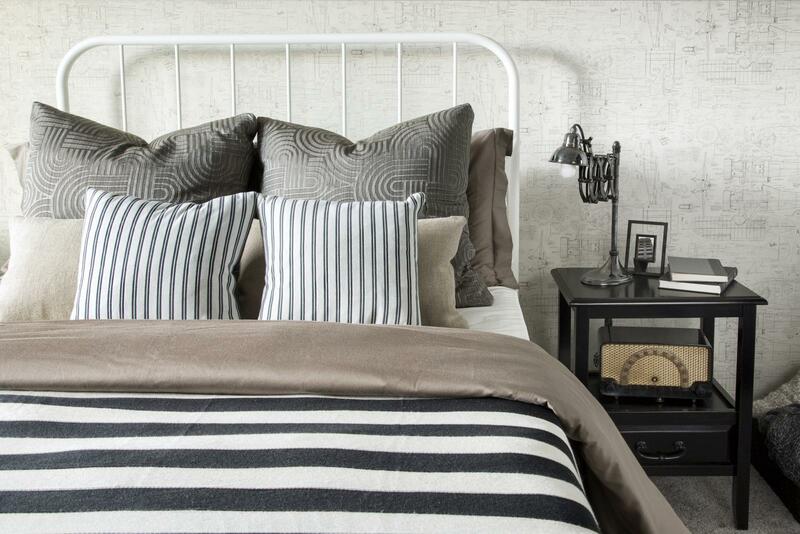 Having a great choice of styles is always a plus when it comes to bedding. It also makes sense to go with this option if you don't need sheets or if you prefer a specific type of sheet (rather than the options available in bed in a bag sets). What Is a Sham in a Comforter Set? A pillow sham is a decorative cover for a pillow that you usually don't use for sleep. It is part of the pillow ensemble you place on the bed when not in use. You can also use the sham to support you whenever sitting up in bed. Pillow shams come in different sizes, just like sleep pillows. Sham sizes range from standard to king, depending on the size of your mattress. Shams can be tailored or ruffled. Pillow shams are usually made using same fabric pattern as the comforter. Euro pillow shams are oversized square decorative pillow coverings. These are typically 26" x 26". You'll need to purchase a square pillow in order to use this type of sham. Euro shams are for contrast and different from the other pillow shams. They can be solid color, striped, plaid or patterned. Before you start shopping for new bedding, decide which type is best suited for your budget. You can then focus on finding the right colors and pieces to go with your bedroom décor. Since the number of pieces and exact items can vary from one set to another, review the label carefully so you're certain of what you are getting.